Versatile, crowd-pleasing pours are favorite picks for the big feast. We found three delightful bottles from the Golden State that pair splendidly with everything from cocktail snacks to the golden bird. Grown in mountain vineyards overlooking Clear Lake, in California’s Lake County (north of Napa and east of Mendocino), the grapes featured in a blend from family-owned winery Shannon Ridge read like the kitchen sink: zinfandel, syrah, petite sirah, and cabernet sauvignon. 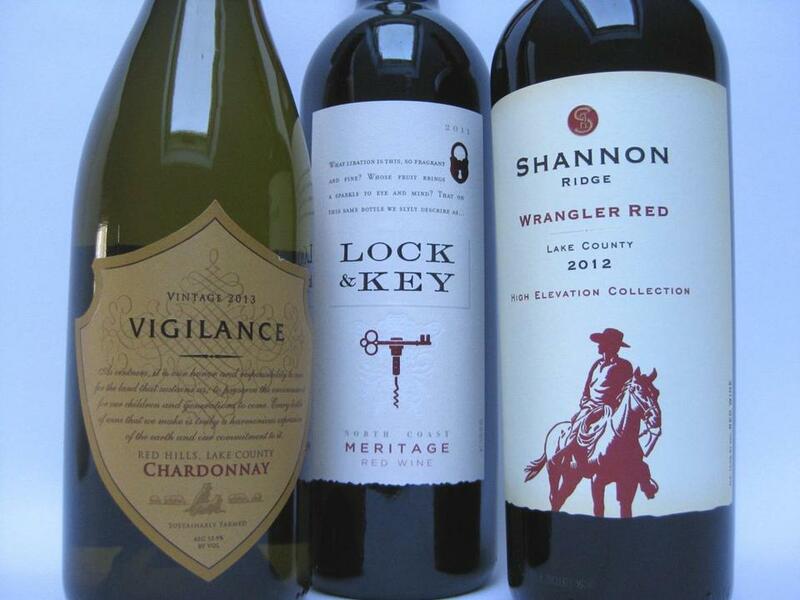 Expert hands have blended this cornucopia of varietals into a red that is appealing, bright, and well integrated. The same family also makes a barrel-fermented chardonnay under the name Vigilance that shows how oak, skillfully handled, lends softness and complexity to the finished product. This is a lovely white to go with buttery holiday dishes. A third appetizing pour is a red “Meritage” (rhymes with “heritage”), a category created in the ’80s by California vintners using only the traditional grapes of Bordeaux. The bottle we like from Lock & Key showcases cabernet sauvignon and merlot with a dash of cabernet franc. Stock up on these adaptable, reasonably priced quaffs ($12 to $15). Each offers vibrant fruit, the warmth of about 14 percent alcohol, and smooth textures brightened by the right amount of tartness. If the turkey takes too long, the guests get stuck in highway traffic, and nothing goes quite according to plan, at least you can count on what’s in your glass. Vigilance Chardonnay 2013 This barrel-fermented white offers fresh peach and apple aromas and a fruity, rounded palate. Around $15. At Giles Wine & Spirits, Arlington, 781-646-3500; Bin Ends, Braintree, 781-817-1212. Lock & Key Meritage 2011 Vivid scents of plum and olive lead to flavors of cherry, with balancing bitter notes that are attractively savory in this red blend. Around $14. At Still Waters Wine & Gourmet, Scituate, 781-378-1159; Pemberton Farms, Cambridge, 617-491-2244. Shannon Ridge “Wrangler Red” 2012 Brambly berries and leafiness on the nose with juicy red fruit, smooth tannins, and a spicy finish. A quick decant allows this red to bloom. Around $12. At Giles Wine & Spirits; The Wine Press, Brookline, 617-277-7020.